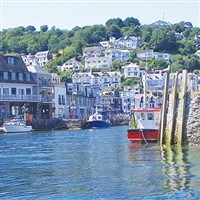 Beautiful Looe in South East Cornwall is extremely popular with holiday makers. 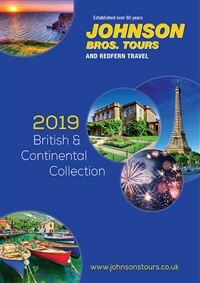 It’s all here - a holiday seaside feel, a stunning fishing harbour, numerous arts and crafts shops, tea rooms, pubs, opportunities for scuba diving and fishing or boat trips (particularly out to off shore Looe Island). Beautiful Looe in South East Cornwall is extremely popular with holiday makers. Its all here - a holiday seaside feel, a stunning fishing harbour, numerous arts and crafts shops, tea rooms, pubs, opportunities for scuba diving and fishing or boat trips (particularly out to off shore Looe Island). Looe caters for families well, great beaches with a choice of local museums and attractions Looe is a pleasant surprise and more! The Portbyhan Hotel is situated in an unrivaled position, right in the heart of Looe. A large number of the rooms offer superb views over the harbour and town. The Edwards family from South Wales purchased the hotel in June 2013 and since then have invested over £1.2 Million in a full refurbishment of hotel rooms, restaurant, bar and public areas. Full day to Plymouth, escape the hustle and bustle and find a little peace and quiet, Plymouth is the perfect place offering superb entertainment and all weather activities throughout the year. A full day excursion to the bustling cathederal city of Truro.